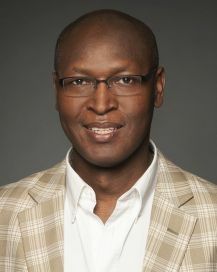 Professor Pacifique Manirakiza is an Associate Professor at the Faculty of Law (Common Law Section), University of Ottawa where he teaches Canadian Criminal Law and International Criminal Law and African International Law. In 2015, Professor Manirakiza completed a 4-year term as a member of the African Commission on Human and People’s Rights. In that capacity, he was the Chairperson of the Working Group on Extractive Industries, Environment and Human Rights Violations and a member of the Working Group on Indigenous Populations/Communities in Africa. In 2014, he has been appointed member of the first African Union-led Commission of Inquiry on South Sudan. In Burundi, he served as an Assistant Professor at University of Burundi as well as a Deputy Prosecutor in Ngozi and Rutana Provinces. Dr. Manirakiza also participated, as a legal adviser and negotiator, in Burundi peace negotiations held in Arusha (Tanzania) from 1998 to 2000. Professor Manirakiza is a dedicated human rights lawyer. In this capacity, he has always been sensitive to the rights of the vulnerable. As part of a defence team before the International Criminal Tribunal for Rwanda, he contributed in upholding the rights of the accused which were not emphasized on in the early years of the Tribunal. Quite recently, he led a team of lawyers before the African Court on Human and Peoples’ Rights, arguing a case on behalf of the indigenous peoples, the Ogiek of Kenya. This will become a landmark case as it was the first time that the Court had to consider issues dealing with indigenous peoples’ rights in the African context. During the last 4 years, as a member of the African Commission on Human and Peoples’ Rights, Professor Manirakiza spent a great deal of his time advocating for the rights and the empowerment of local communities affected by the extractive industry in Africa.